I think it's fairly safe to say Dubrovnik is one of the most beautiful places I've ever been. Ohh just looking at these photos is making me miss it already! Last week, my parents and I hopped on a plane to Croatia to catch a final bit of sun before the long British winter. We stayed in a little villa in the gorgeous town of Cavtat (well, city technically, but it's tiny), which is a short and very scenic 40 minute or so boat ride to Dubrovnik. We were there for the very end of the holiday season, while tourist numbers were dwindling and business were on the verge of closing for the winter, and I'm honestly so glad we went when we did. 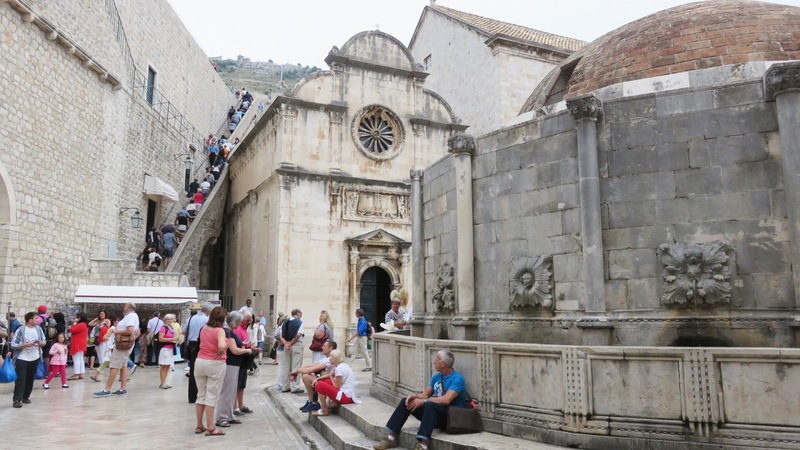 When I say dwindling, what I mean is that there were perhaps, on average, only one or two small cruises arriving in Dubrovnik per day, which is by the city's Summer standards is quiet! 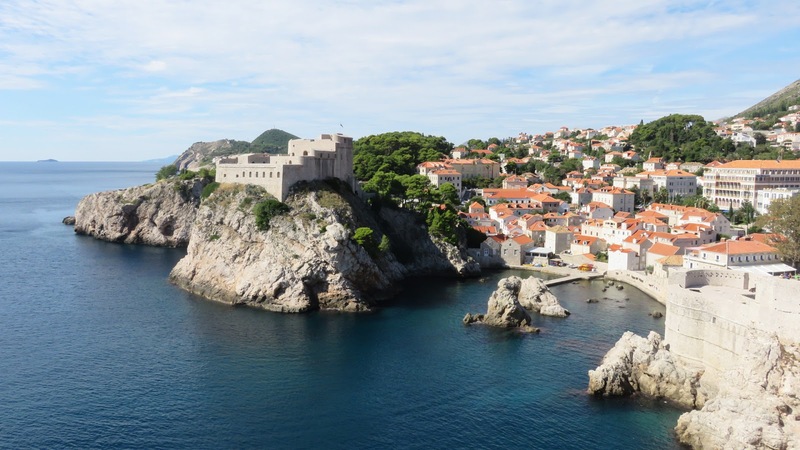 We spent 3 days in total in Dubrovnik itself, relishing the relative lack of other tourists as we walked around the city walls (which have some of the most spectacular views I've ever seen) and explored the Old City. As a bit of an architecture geek, I was in heaven. The medieval walled city is filled with incredible buildings; everywhere you turn, there's another photogenic clock tower or set of arches. Though much of the city was damaged by war just 20 years ago, the restoration looks virtually seamless, and if you knew nothing of the history you'd never be able to tell. It's very impressive. 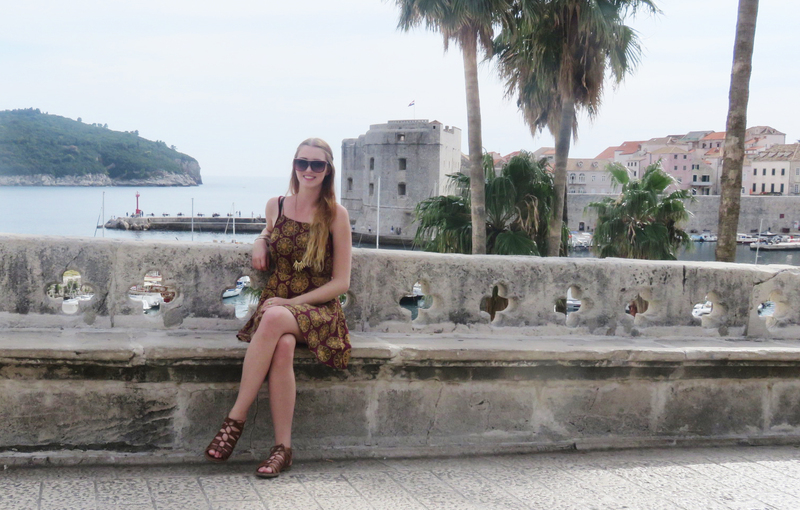 One of draws of Dubrovnik in recent years has been its use as a major filming location in Game of Thrones, and those of you who follow me on social media may have gotten a little sick of me exciting over the fact that I was in ACTUAL KING'S LANDING (sorry). As a massive fan of the show, I couldn't resist the opportunity to location spot, and fellow fans might recognise Blackwater Bay and the gardens of Quarth in the photos above. Though they're hundreds (maybe thousands?) of miles away from each other in the show/books, it turns out Quarth is filmed on the picturesque island on Lokrum, which lies just off shore from Dubrovnik. This is also where the actual original Iron Throne is kept, and so is must for GoT fans. But if you're not as much of a nerd as me, don't worry, Lokrum has something for everyone. 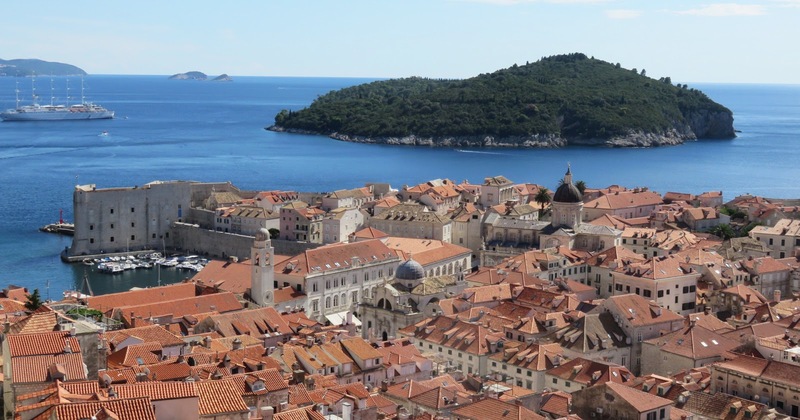 From an old fort on the island, you get some astounding views of Dubrovnik and the surrounding area. 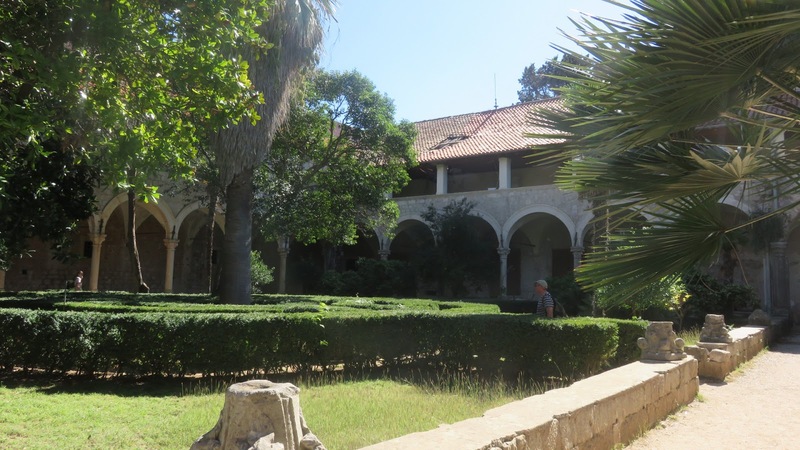 The old monastery (pictured above as the gardens of Quarth) is a beautiful example of architecture, and houses a museum all about the Island's history (including its role in GoT). There are some lovely botanical gardens, plenty of bars and cafes with fantastic views and, perhaps most interestingly, a miniature "dead sea". Much like the actual dead sea, this small lake has a high level of salt in it's waters, making it easy to float and swim. Plus, like the rest of the island, it's very picturesque. We filled the days spent in Cavtat itself with sunbathing, walks around it's gorgeously rugged coastline, kayaking (on my part), and plenty of delicious food and wine. I can honestly say I didn't have a bad meal while I was in Croatia, though perhaps that shouldn't be surprising - this area is built on tourism, it's their main source of income by a long way, so it's only natural that their restaurants should be of a high quality. Let me just note, as well, that the meals we had were all very reasonably priced, far cheaper than I'd expect to pay in the UK. Our stay was made very comfortable by the lovely villa we stayed in, and our host Eli, who ran the place, went out of her way to be incredibly welcoming and accommodating. I honestly couldn't recommend Eli and the villa enough - check them out here on TripAdvisor. 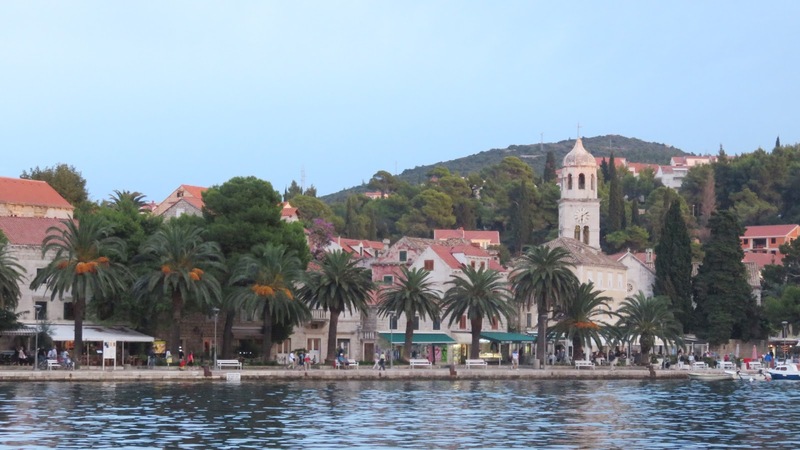 I could talk forever about how much I loved Cavtat and Dubrovnik, but alas I've already written a far longer post than I meant to. TL;DR - Dubrovnik is fantastic, go there. Cavtat is a beautiful little resort if you don't want to stay in the city itself. Whaaaat!? I want to do some Game of Thrones exploring! Gorgeous snaps.